Vietnam has a growing e-commerce sector and follows up with the rest of the South Asian countries. Revenues sourcing from e-commerce are expected to reach above $4 billion by 2020. So, let’s learn more about the Vietnamese way of e-commerce! According to Statista’s data the biggest source of the revenues from e-commerce is consumer electronics. Apparel, special interest, furniture and home appliances are the following sectors that create growth. Penetration rate for this year is expected to be above 30 percent. A big part of the online population is between the ages of 16-34. This can give us ideas regarding the main segments of audiences. Mostly high income groups constitute the online users. Even though Vietnam was ranked as the smallest e-commerce sector in the South East Asia a few years ago, it is safe to say that the market is growing at a better pace. As the Internet penetration increases the online shopping per shopper is increasing as well. The biggest problem in Vietnam e-commerce is delivery and payment. Delivery problems occur mainly due to infrastructural problems. Many e-commerce websites are receiving complaints regarding the late deliveries. Payment problems occur usually due to the fact that people do not have credit cards. Cash on delivery is the most popular payment option in the whole country. A solution to these problems can surely boost the e-commerce sector in Vietnam. Online shopping through social media platforms are also growing. Nearly 90 percent of online shoppers, that are fashion category consumers, have purchased a product through Facebook. The ordering through social media platforms takes place through Facebook messages or phone calls. In mobile commerce there are increases as well. Smart Phone ownership rises are a triggering effect in this development. E-commerce related regulations in Vietnam have a constantly changing nature. Since it is trying to catch up with the trends of a far bigger network of e-commerce trying to catch up with it can create some troubles. It is important to keep up with any updates regarding new regulations for both new and present e-commerce businesses. An example for the mix-ups that occur is from 2014. 17 e-commerce companies were charged for not complying with the new regulations. In terms of product range there are many shortages in the Vietnam e-commerce market. Even though there are many e-commerce businesses present, the desirable products are missing from the market. This causes the online shoppers to turn to China’s online marketplace. There is certainly a big need for product variety and this can be a chance for the e-commerce entrepreneurs. As we mentioned earlier above, the social media platforms in Vietnam are big drivers for online sales. The return rates are high and satisfactory. In terms of marketing social media is a good way. Another marketing source which proves effective is search marketing. Paid search is triggering 40 percent and social media is 28 percent. Vietnam is a growing market but can be overseen next to the South Asian countries’ big success. However, it is proving to be a great opportunity with its return rates on social media and paid search. The e-commerce market of Vietnam is still in its infantry but good things are expecting the country. 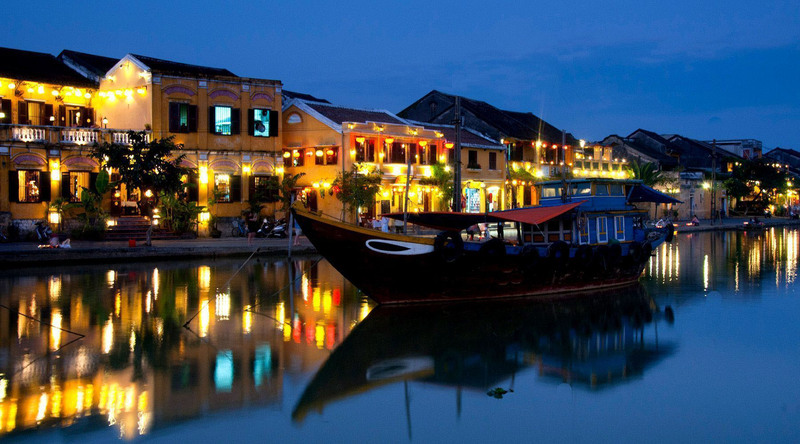 Vietnam has a growing e-commerce sector and it is important to keep up with new developments. Good prices are important for you to be a part of growing e-commerce sectors. Prisync, with its online price tracking software, allows you to monitor your competitors’ price activities all around the world 24/7.